My favorite part of any design project is, hands down, picking fabric. In fact, starting with fabric is my process. And Mason's nursery was no exception. I had a blast pouring over possible fabric scenarios for this nursery. And when I didn't know if Julianne's baby was going to be a boy or a girl, the options I fell in love with were endless. 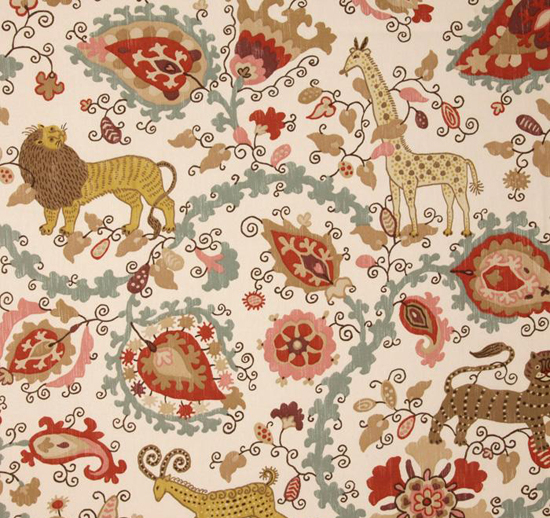 One option that I still adore and was a finalist for a she-baby's room was Braemore's Maneka. The Cherry Blossom colorway has the most fantastic touches of lilac and aqua and the chartreuse green that I was working with from the room's paint colors. 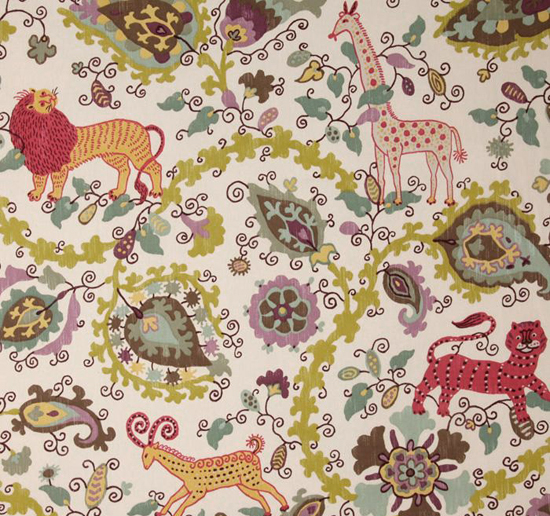 I adore the look of the hand-drawn animals...so perfect for a sweet child's space, yet the pattern and the colors work to make the fabric feel much more elevated than traditional kid prints. The other colorways are just as awesome. I really, really love the combinations Braemore has used here. I truly can't decide which I like best. 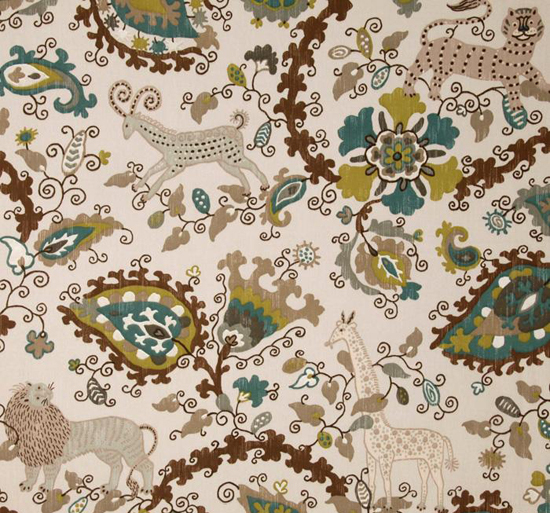 This fabric is on my short list for future use but thought I would share it with you, my favorite people, in the meantime. I absolutely LOVE this! I've been having a hard time getting inspired for the nursery I'll be working on until I find out what this baby is but I'm thinking this might be a great jumping off point. THANKS!! Oh, I love that last colorway....the blue/green looks like the colors of Harry's walls. Thanks for sharing! LOVE the cherry blossom colorway. I would put that in my own bedroom! did you ever use this in a room?